You can now find here and on our website the Jacques Rougerie Foundation's Database for your participation in our Competition Architecture. We hope that these beautiful awarded projects will enrich your thoughts and will inspire you. Retrouvez ici et sur notre site la database de la Fondation Jacques Rougerie pour votre participation à notre Concours d'Architecture. Nous espérons que ces magnifiques projets primés vous permettront d’enrichir votre réflexion et vous inspireront. 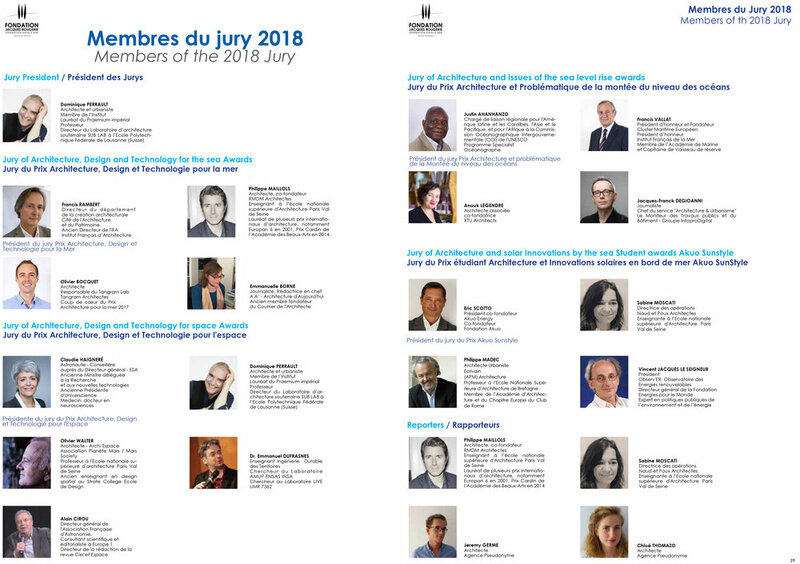 2017 Focus "ports of the future"
Jury du Prix 2017 "Architecture & Problématique de la Montée du Niveau des Océans"
Justin AHANHANZO from the Republic of Benin is currently the Regional Liaison Officer for Latin America and the Caribbean, Asia and the Pacific and Africa, at the Intergovernmental Oceanographic Commission of UNESCO based at the headquarters in Paris, France. Justin is a trained and professional oceanographer and marine scientist with diversified competencies and experiences in physical oceanography, marine biology, satellite applications for integrated management of ecosystems and water resources, fisheries, ocean governance and institutional capacity building including the development, coordination and implementation of ocean, climate and environmental programmes in connection with related global and regional Conventions, notably the revitalization of the Convention on Cooperation for the Protection, Management and Development of the Marine Environment and Coastal Areas of the Atlantic Coast of the West, Central and Southern African Region (Abidjan Convention) and the Nairobi Convention for the Protection, Management and Development of the Marine and Coastal Environment of the Western Indian Ocean. Justin contributes to the global and regional capacity building efforts and acted as the Focal Lead at IOC/UNESCO for both Global Earth Observation (GEO) and the Committee on Earth Observation Satellite (CEOS) for the empowerment of national, regional and international institutional capacity in ocean sciences, water resources management and Climate Change. He contributes to establish training and education institutions, especially UNESCO Chairs in marine sciences, oceanography and satellite applications worldwide. In addition to his current responsibilities as the IOC Regional Liaison Officer, Justin is also acting as the Coordinator of the OC Regional Committee for the Central Indian Ocean. Justin is one of the first to link the Global Ocean Observing Systems (GOOS) with the Large Marine Ecosystems. Justin as the initiator is the founding Coordinator of the Global Ocean Observing Systems in Africa (GOOS-AFRICA). He was the Coordinator for the GOOS Regional Alliances, the Mediterranean Global Ocean Observing System (MedGOOS). He also served as the Editor of the GOOS Newsletter. Justin is the initiator of the involvement and participation of the Network of African Science Academies (NASAC) in the process of the Conferences of Parties of the United Nations Framework Convention on Climate Change since the Paris COP 21. Philippe Vallette is an oceanographer. He is the general manager of Nausicaa, located in Boulogne sur Mer. 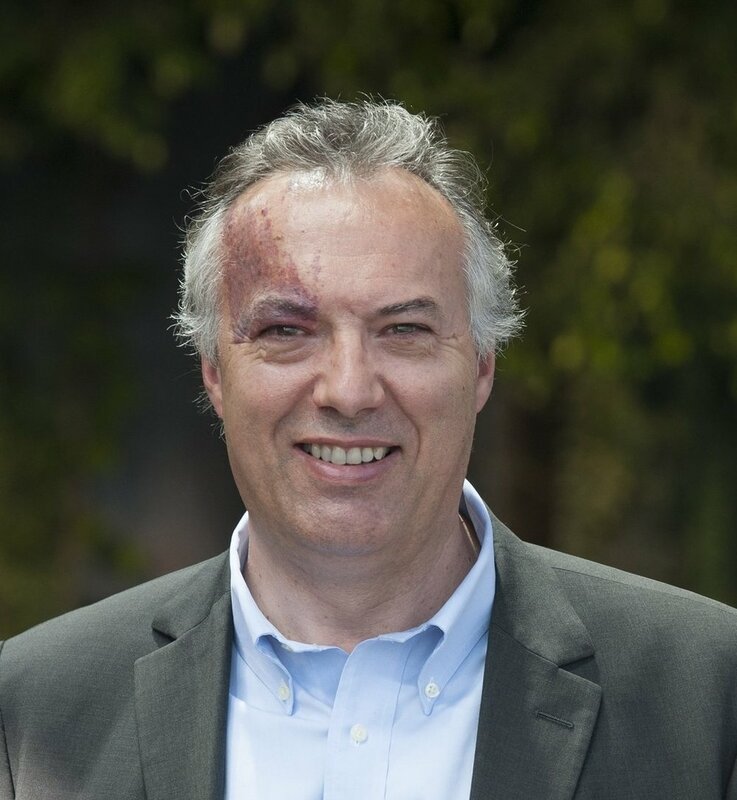 Philippe Vallette is also the co-president of the World Ocean Network, an organization that connects more than 400 million people a year together thanks to its 500 worldwide partners. Nausicaa is the largest sea centre in France with 600.000 visitors per year. Nausicaa’s big expansion will open in June 2018 and will make Nausicaa the biggest aquarium in Europe. This large-scale project was designed by the architects Jacques and Sophie Rougerie. Philippe VALLETTE est océanographe. Directeur Général du Centre National de la Mer, NAUSICAA à Boulogne-sur-Mer, le premier centre de la mer en France, avec plus de 600 000 visiteurs par an. Ce Centre ouvrira une extension en juin 2018, dessinée par Jacques et Sophie Rougerie architectes, devenant ainsi le plus gros aquarium d’Europe. Il est Co-Président du Réseau Océan Mondial (WON), organisme qui met en contact plus de 400 millions de personnes par an, au travers de 500 organisations partenaires dans le monde entier. Born in Cotonou in Benin, Romarick spent his childhood there. After obtaining his CAP and a Baccalaureate F4 / civil engineering, he spent two years in Accra in Ghana and then flew to Japan where he started his graduate studies in Architecture at Tokyo Technical College in Tokyo. There, he obtained a Diploma of Advanced Technician in Architecture just after obtaining his Japanese Language Diploma. In 2010, he landed in Paris where he pursued his graduate studies in architecture at the National School of Architecture of Paris La Villette (ENSAPLV). There he successively obtained his Bachelor's and Master's degrees in Architecture and then the Habilitation to exercise the project management in his own name. 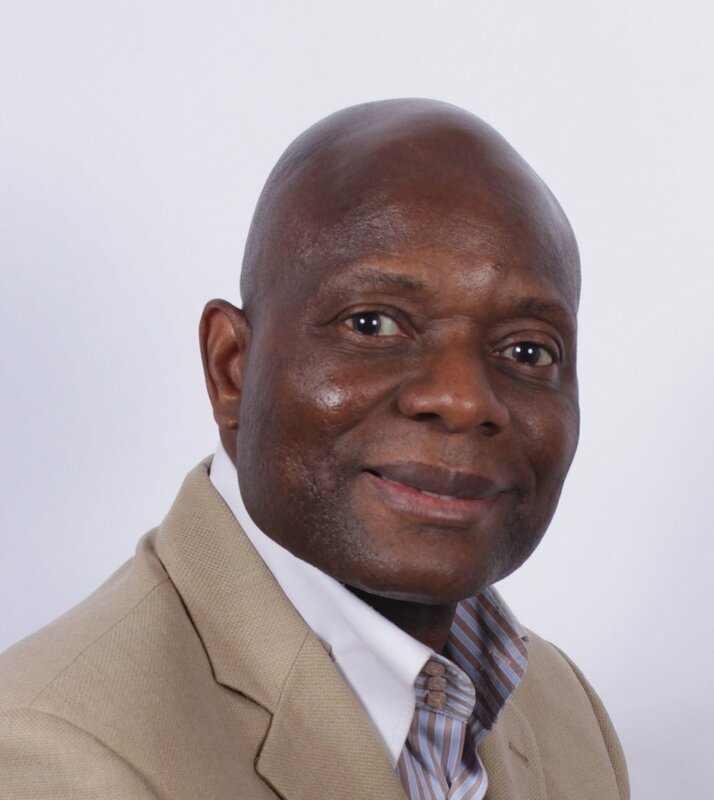 Listed today on the Board of Architects in France and Benin, Romarick is Principal Architect & Director of Global Archiconsult (France / Benin) - President Founder of AFRIKArchi, but also Architect Adviser on one of the 45 flagship projects of the Benin Government, Sèmè City. 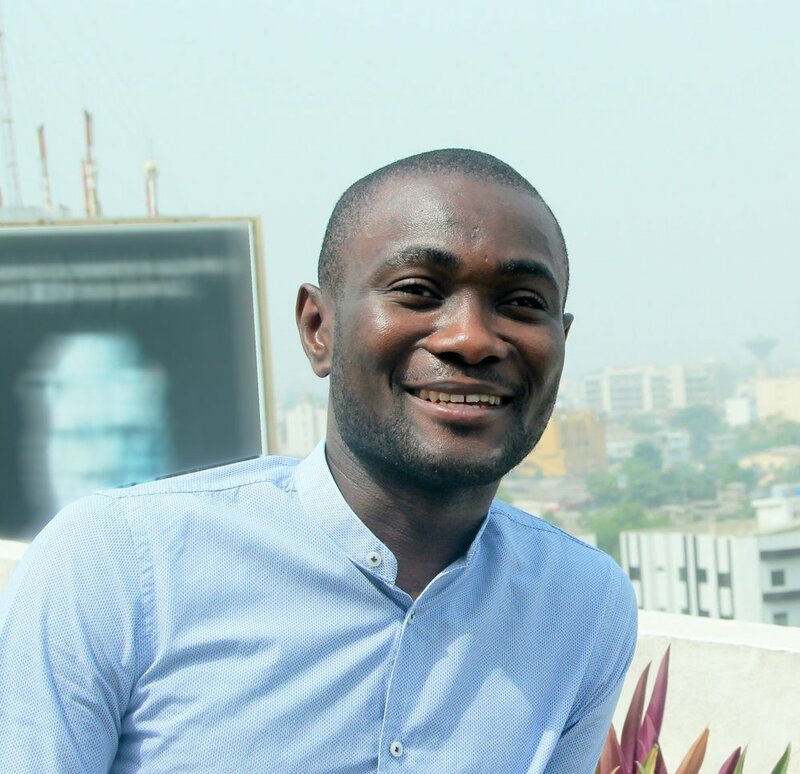 Romarick Atoke, originaire de Cotonou au Bénin, après l'obtention de son CAP Aide Dessinateur Métreur Bâtiment et d'un Baccalauréat Génie-Civil, passe deux années à Accra au Ghana puis il poursuivit ses études supérieures en Architecture à Tokyo Technical Collegeau Japon . Il obtient un Diplôme de Technicien Supérieur en Architecture juste après obtention de son diplôme de Langue Japonaise. En 2010, il poursuivit ses études supérieures en architecture à l’École Nationale Supérieure d’Architecture de Paris La Villette (ENSAPLV). Il y obtient tour à tour ses diplômes de Licence et de Master en Architecture puis l’Habilitation à exercer la maîtrise d’œuvre en son nom propre. Aujourd’hui inscrit au Tableau de l’Ordre des architectes en France et au Bénin, Romarick est Architecte principal & Directeur de Global Archiconsult (France / Bénin) - Président Fondateur d’AFRIKArchi, mais également Architecte Conseiller sur un des 45 projets phares du Gouvernement Béninois, Sèmè City. Titulaire d’un DESS en Urbanisme et Aménagement de l’Institut Français d’Urbanisme et d’un DEA en Sciences du langage et de la communication de la Sorbonne nouvelle, Emmanuelle Borne a choisi de se consacrer au journalisme en 2010. En 2011, elle fait partie de l’équipe fondatrice du magazine en ligne Le Courrier de l’Architecte où elle s’attache en à distinguer grandes tendances et évolutions plus fondamentales de l'architecture et de l’aménagement du territoire contemporains. Des questionnements qu'elle poursuit depuis 2015 en qualité de rédactrice en chef de L'Architecture d'Aujourd'hui, revue fondée en 1930 par André Bloc. 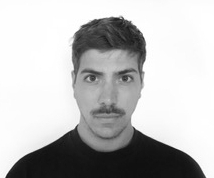 02.11.85, HMONP Architect , graduated from Paris Belleville Architecture School in 2010, co-founder of Bellastock in 2006, and president of the association until 2012. He works in Parisian architecture agencies, before devoting himself fully to the Bellastock development. He is now in charge of the international development and work with ten Bellastock team around the world. Architecte (HMONP) diplômé de l’École d’Architecture de Paris Belleville en 2010, Antoine Aubinais, cofondateur de Bellastock en 2006 et président de l’association jusqu’en 2012, a d’abord travaillé dans des agences d’architectures parisiennes avant de se consacrer complètement au développement de l’association. Aujourd’hui, il est le responsable du développement international et travail avec une dizaine d’équipes Bellastock à travers le monde. Khader Berrekla, né à Paris en 1992, est architecte Diplômé d'Etat- HMONP, formé à l'Ecole Nationale Supérieure d'Architecture de Paris-la Villette. Ses parents étant d'origine algérienne, il a été amené, dans sa jeunesse, à voyager au Maghreb. C'est au cours de l'un de ces voyages, durant ses études, qu'il a pris conscience de l'importance des enjeux architecturaux et urbains dans cette région. Il considère que l'architecture peut devenir un véritable levier de développement et d'amélioration de la vie des populations. C'est pourquoi il s'est engagé au sein de l'association AFRIKArchi qu'il a cofondé. Basé actuellement à Paris, il y exerce en tant qu'architecte en plus de ses fonctions de Secrétaire Général d'AFRIKArchi. Jury 2017 Prix "Innovation et Architecture pour l'espace"
Born in Mönchengladbach, Germany, he received diploma in experimental physics from the University of Cologne in 1983 and the Ph.D. in 1986, with a minor degree in human physiology. In 1990, he was selected to the German astronaut team, training for the Mir '92 mission. He was the backup of Klaus-Dietrich Flade for the Soyuz TM-14 mission. In 1995 he began training for the second German Mir mission. In February 1997 he flew to the space station Mir with Soyuz TM-25, spending 20 days in space. He performed experiments in biomedical and material sciences, and carried out operational tests in preparation for the International Space Station. In February 1999, he joined the European Astronaut Corps at the European Astronaut Centre (EAC) in Cologne, Germany. From 2006 to 2011, Ewald headed the Flight Operations Division within ESA’s ISS Operations department at the Columbus Control Centre near Munich. In this role, he directed a team of ESA Mission Directors managing the Columbus laboratory delivery flight in February 2008 and the Columbus science activities thereafter. He served as an Advisor to the Head of Director General’s Cabinet at ESA’s headquarters in Paris from 2011 to 2014, followed by a position at the European Astronaut Centre in Cologne, promoting the scientific achievements of the ESA research programme on the International Space Station. In September 2015 he was appointed as Professor for Astronautics and Space Stations at the Institute of Space Systems (IRS) at the University of Stuttgart as the successor to Ernst Messerschmid. He is married and has three children. He enjoys reading and spending time with his family, and performs with an amateur theatre group. His main sports are soccer and he holds a black belt in karate. Michel Tognini enrolled at the French Air Force Academy, Salon de Provence, France, graduating with an engineering degree in 1973. Tognini attended the Empire Test Pilots School, Boscombe Down, United Kingdom, in 1982, and the Institut des Hautes Etudes de Defense Nationale in 1993-94. Tognini made his first space flight on board the Soyuz TM-15, TM-14 (July 27 to August 10, 1992). He linked up with Mir 1, spent 14 days carrying out a program of joint Soviet-French experiments. Tognini flew aboard Space Shuttle Columbia on STS-93 (July 22-27, 1999), as a Mission Specialist, to assist in the deployment of the Chandra X-Ray Observatory,. Mission duration was 5 days. On May 1, 2003, Brigadier General Tognini was appointed Head of the Astronaut Division at the European Astronaut Center (EAC), Cologne, Germany. Then on March 1, 2005, he was appointed Head of the European Astronaut Centre.He came back to France in November 2011, and became the president of the GAMA ( Groupe Aéronautique du Ministere de l'Air); he continued to participate to studies linked to Human Space Mission to Mars or to asteroids. He is President of Space conseil and expert APM (Association Progrès du Management). After studying at the School of Architecture of Paris Seine (UP9), and a diploma focused on the density of the Parisian islets and the compactness of the city, Sabine MOSCATI made her weapons in various agencies where she apréhende and sharpens its sens of detail, simplicity and obviousness. At Franck Hamoutène workshop first then at the Elizabeth NAUD and Luc POUX studio, in which she is now studies’s director. She teachs also at the National School of Paris Val de Seine where she supervises undergraduate and graduate students. His multi-faceted reflections particularly focus on the future of the sustainable city, the research on living in all environments, the urban prospective and more generally the ecological transition in the respect of raw materials, territories and their history. humans who inhabit them. Après des études à l’école d’architecture de Paris la Seine (UP9), et un diplôme axé sur la densité des îlots parisiens et la compacité de la ville, Sabine MOSCATI fait ses armes dans divers agences où elle apréhende et aiguise son sens du détail, de la simplicité et de l’évidence. A l’atelier Franck Hamoutènne d’abord puis dans l’agence d ‘Elizabeth NAUD et Luc POUX, au sein de laquelle elle dirige dorénavant les études. Elle est également enseignante à l’école nationnale supérieure de Paris Val de Seine ou elle encadre des étudiants de license et de master à l’atelier Marco TABET. Ses reflexions multipes s’oreintent particulièrement sur le devenir de la ville durable, les recherches sur l’habitait dans tous milieux, la prospective urbaine et plus généralement la transition écologique dans le respect des matières premières, des territoires et de leur histoire, des etres humains qui les habitent. Jacques-Franck Degioanni, né en 1960, est titulaire d’un diplôme d’architecte DPLG et d’un DEA de Philosophie. Depuis 2000, il est journaliste intégré à la rédaction du Moniteur des Travaux publics et du Bâtiment, chef du service « Architecture et Urbanisme ». 42 years old, lives and works in Paris. Degree in engineering at the Ecole Polytechnique(1994), degree in civil engineering at the Ecole des Ponts ParisTech (1999) and government certified architect at Ecole d’Architecture de Paris Belleville (2003). He started his professional career with RFR as an engineer-architect working on projects such as the Simone de Beauvoir footbridge in Paris (with focus on solving dynamical behavior for this 200m-span lightweight steel structure) and the design of the glass canopy of the Strasbourg train station (geometry and structural concept). In 2003, he founded Elioth. This multidisciplinary team works on innovation design, highly related to architecture and urbanism. Elioth concentrated cutting edge engineering on lightweight structures and facade engineering; Elioth is also well-known for sustainable expertise on energy and climate design at building and neighborhood scale. 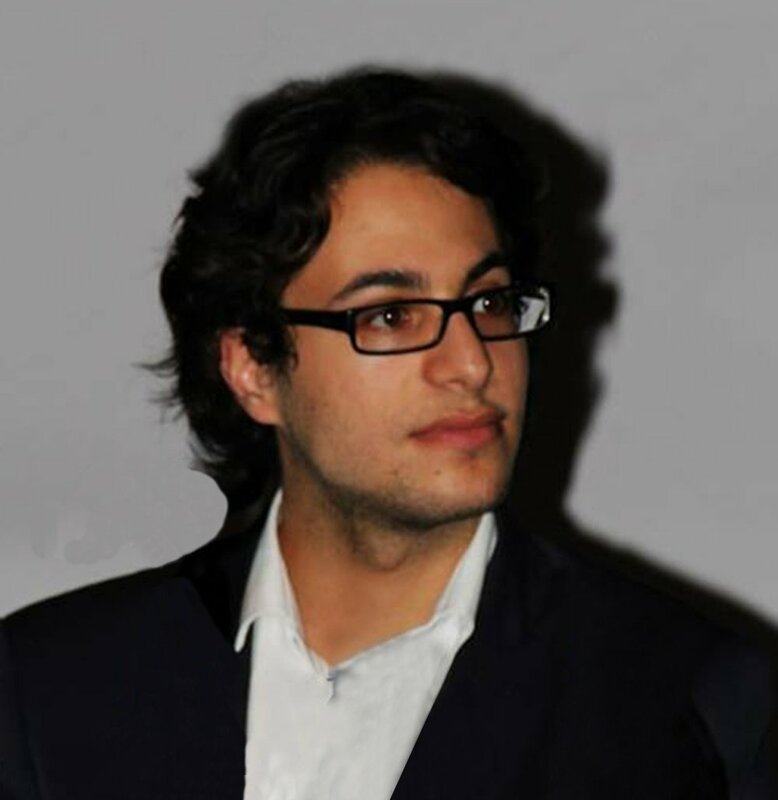 At Elioth, Raphaël works also on implementation of territorial strategies with urban planners and landscape architects. Elioth is also involved into several institutional research program, including carbon neutrality strategies. Ingénieur de l’Ecole Polytechnique (X94), ingénieur civil des Ponts et Chaussées (1999) et architecte DPLG (Paris-Belleville, 2003). 42 ans, 2 enfants, habite Paris et travaille à Montreuil. Débute son activité professionnelle chez RFR en tant qu’architecte-ingénieur en travaillant notamment sur les projets de la passerelle Simone de Beauvoir à Paris (en particulier sur la résolution des problèmes vibratoires) et la conception de la verrière de la gare de Strasbourg (géométrie et schéma statique). En 2003, il fonde Elioth. Cette équipe multidisciplinaire intervient en maitrise d’œuvre d’innovation et à haute valeur ajoutée, fortement connectée à l’architecture et au design. Depuis 2011, il est aussi directeur de la prospective du groupe Egis auprès du P-DG. Fin 2014, est créé 169-architecture, un laboratoire dédié à l’architecture et l’urbanisme très bas carbone, en lien étroit avec Elioth. Jury 2017 du Prix "Innovation et Architecture pour la mer"
Self-taught, Francis Rambert began his career as a photographer and architecture critic. 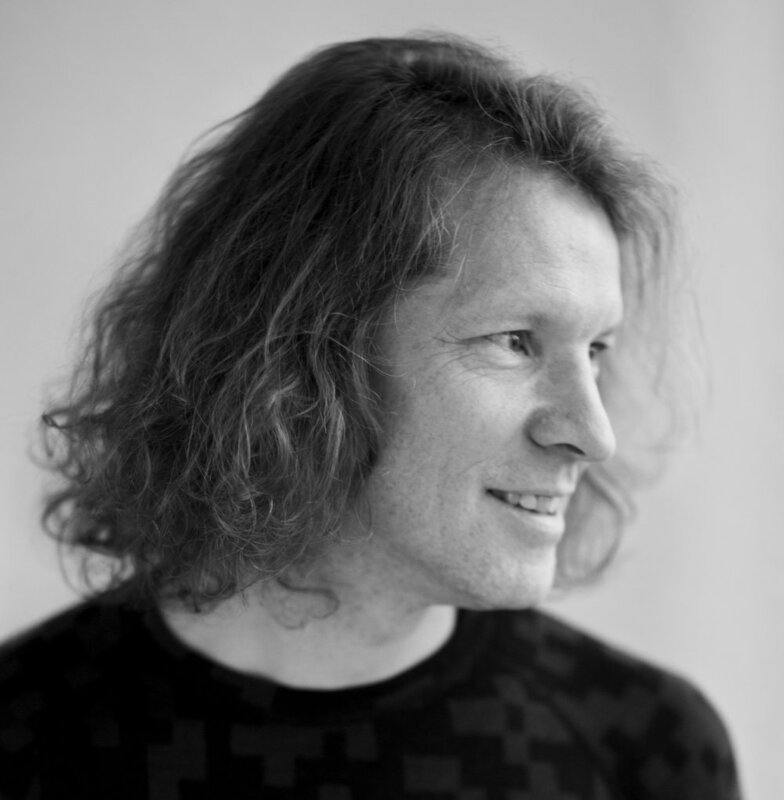 In 1989, he was one of the co-founders of Architectures magazine, which he edited until 2002. Francis Rambert collaborates in various art magazines and is the author of architectural chronicles from 1990 to 2004. Autodidacte, Francis Rambert débute sa carrière en tant que photographe puis critique d’architecture. En 1989, il est l’un des cofondateurs du magazine d’Architectures, dont il est le rédacteur en chef jusqu’en 2002. Francis Rambert collabore à différentes revues d’art et est l’auteur de chroniques d’architecture de 1990 à 2004. Directeur de l’Institut français d’architecture, l’un des trois départements de la Cité de l’architecture et du patrimoine en 2004, il sera nommé par la suite directeur de la création architecturale, poste qu’il occupe encore aujourd’hui. Francis Rambert fut également commissaire du pavillon français de la biennale de Venise en 2008. Patricia Ricard est engagée depuis plus de 30 ans dans la cause environnementale. Lorsqu’elle accède à la présidence de l’Institut océanographique Paul Ricard, en 2005, elle scelle les fondements de son action sur les valeurs de son grand-père, Paul Ricard, créateur de cet Institut, et de son oncle, Patrick Ricard, mécène éclairé. À leur image, elle est animée : - du charisme de ceux qui se sentent investis d'une mission généreuse et de bon sens prônant une écologie humaine et réaliste ; - d’un humanisme empreint de simplicité et de chaleur qui rassemble les énergies et les talents ; - du souci permanent de regarder vers l'avenir, avec ce sens des responsabilités et de l'intérêt général. A reputable shipowner for 32 years, F.Vallat chaired the” Institut Français de la Mer “during 10 years. He created both the “Cluster Maritime Français” and the “European Network of Maritime Clusters” . He also chaired “ Septième Continent” (against plastic in the oceans) and still chairs “Euromaritime” (the European maritime business show) , and “SOSMediterranée” (to save migrants in Mediterranea). He has represented France at the “European Maritime Safety Agency” during 10 years, which he vice-chaired during 6 years. Armateur réputé depuis 32 ans, Francis Vallat a présidé l'Institut Français de la Mer pendant 10 ans. Il a créé le «Cluster Maritime Français» et également le «European Network of Maritime Clusters». Il a également présidé l’association "Septième Continent" (contre le plastique dans les océans) et préside toujours "Euromaritime" (le salon maritime européen), et "SOSMediterranée" (pour sauver les migrants en Méditerranée). Il a représenté la France à l'Agence européenne pour la sécurité maritime pendant 10 ans, dont il a été vice-président pendant 6 ans. During his education, Frank has developed his interpretation of architecture with models, in the biggest scale possible. He established a model shop that lead him to Snøhetta during his studies and have been working there since 1997. In the period 1997-2003 he was a board member of the only independent architect gallery in Norway, “Galleri Rom”. From 1998 to 1999 Frank was chairman in the gallery. In 2002 he was a part-time teacher at the Oslo School of Architecture and Design. For Neurobiology Institute of the Mediterranean, he had an important role and is responsible for the design. Durant ses études, Frank a développé son langage architectural à partir de maquettes de la plus grande échelle possible. Il a ainsi créé un atelier de maquettes, point d’entrée pour intégrer l’agence Snøhetta. Il y travaille depuis 1997. De 1997 à 2003, il est membre du conseil d'administration de l’unique galerie d'architecture indépendante de Norvège, Galleri Rom. De 1998 à 1999, Frank est le président de cette galerie. En 2002, il enseigne à temps partiel à the Oslo School of Architecture and Design. Depuis 2005, il est chef de projets pour différents types d’équipements et d’études. Il a notamment eu un rôle clé en tant que responsable de la conception pour l’Inmed | Institut de neurobiologie de la méditerranée de Marseille. 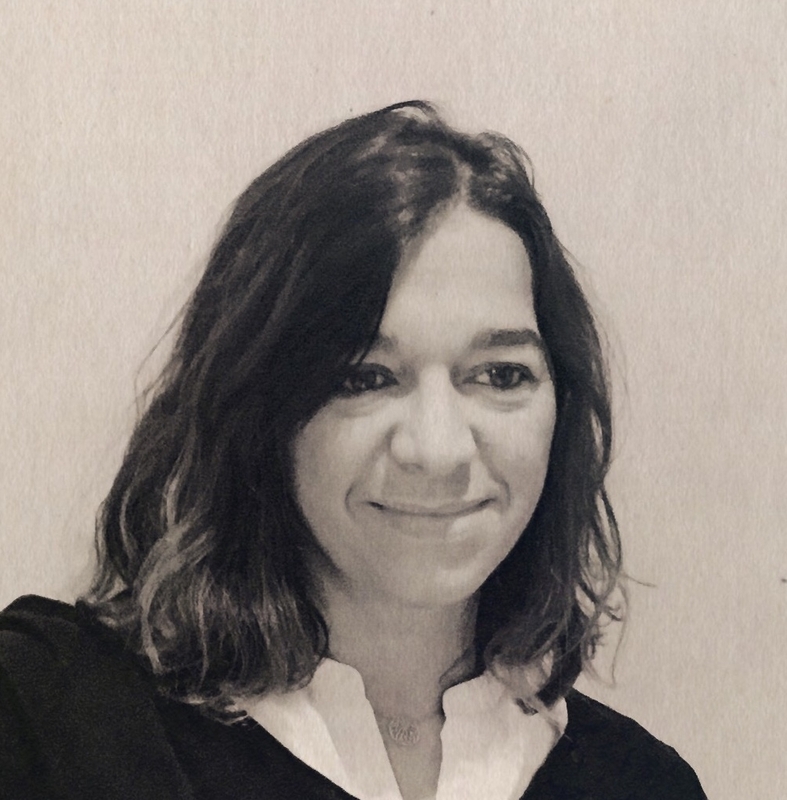 Born in 1990 and raised in Caen, Normandie, Nikki Beuneiche obtained her degrees in interior architecture and design from l'Institut Supérieur des Arts Appliqué and the Camondo School; she also gained her HMNOP architect's diploma from the Ecole Nationale Supérieure d’Architecture de Paris Malaquais. She was awarded a Special Mention for the prize 'architecture and problems in the rise of oceans' for her project New York City, Living with Water as a Regular Visitor. She was nominated for the prize of best thesis in Masters of Architecture, she obtained the first prize for the Tennis Open in Rennes, she presented exhibitions of several studies including one from the house of architecture of Paris and was involved in the research for the book 'Paris Rive Gauche'. She then decided to continue her career in Switzerland where as an architect she explores and materialises projects that take on different scales and varied projects. Née en 1990 et originaire de Normandie, Nikki Beuneiche a reçu ses diplômes d’architecte d’intérieur et designer de l’Institut Supérieur des Arts Appliqués et de l’Ecole Camondo, celui d’architecte HMONP de l’Ecole Nationale Supérieure d’Architecture de Paris Malaquais. Ayant obtenu une Mention Spéciale pour le prix « architecture et problématique de la montée des Océans » pour son projet NEW-YORK-CITY vivre avec l’eau comme visiteur régulier, une nomination pour le prix du meilleur mémoire de Master en Architecture, un premier prix pour l’Open de Tennis de Rennes, des expositions de plusieurs projets d’études dont à la maison de l’architecture de Paris, et une participation aux recherches pour l’ouvrage Paris Rive Gauche, elle décide de continuer son parcours en Suisse. Actuellement architecte à Genève, elle explore, concrétise des projets abordant différentes échelles et programmes variés. Le collectif BABEL promeut le travail de recherche des écoles d’architecture, de design, de graphisme et d’autres formations para-artistiques, à travers divers médias (web, presse, événements…). Depuis plusieurs années, il collabore avec la Fondation Jacques Rougerie- Institut de France, en réalisant la pré-sélection des projets pour le jury final du concours. BABEL NETWORK promotes the research work of schools of architecture, design, graphics and other para-artistic experiments, through various media (web, press, events ...). For several years, BABEL NETWORK has been collaborating with the Jacques Rougerie Foundation-Institut de France, realizing the pre-selection of projects for the final jury of the competition. Paul Jaquet est architecte et urbaniste, il a été formé auprès de personnalités telles que David Mangin, grand prix de l’urbanisme 2008, et a collaboré avec plusieurs grandes agences parisiennes : l’agence Nicolas Michelin & associés ainsi que l’agence Devillers & Associés. Il est fondateur et associé de l’agence Hame, avec laquelle il intervient sur l’ensemble des « établissements humains », du logement au grand territoire, en croisant une pratique opérationnelle avec une vision plus expérimentale. Il s’est notamment distingué par ses recherches sur la « ville adaptable » et la « ville durable » en étant trois fois lauréat du Prix Europan et plus récemment du Prix EDF Bas Carbone 2017. Après un passage à la Rhode Island School of Design, Hugues de Blignières a fini ses études en France à l’ESAG Penninghen où il sortira avec une mention excellente. Ses recherches sur l’horlogerie effectuées dans le cadre de son diplôme lui ont valu d’être exposés à Beaubourg pour l’exposition TRANSFORMATION organisé par le VIA. Passé par des agences de renommée internationale tel que Gilles & Boissier, India Mahadavi ou Joseph Dirand, Hugues de Blignières ouvre au printemps 2017 son agence dans laquelle il dessine du mobilier et des intérieurs. 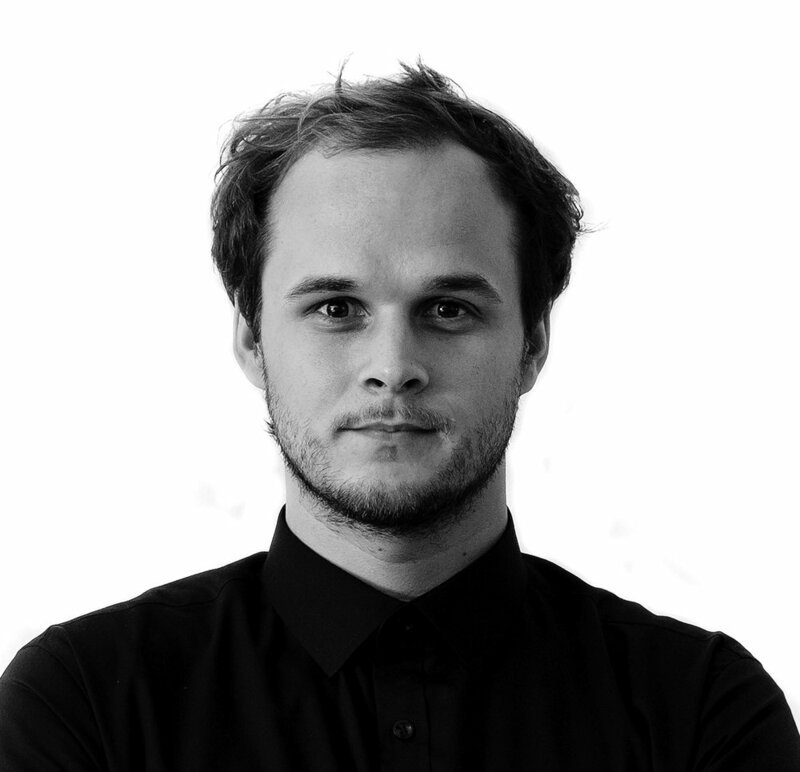 Thibault Gardoncini est architecte, et a notamment travaillé sur des projets sous l’égide de Clément Blanchet, ancien directeur France de l’agence OMA et architecte associé dans cette structure fondée par Rem Koolhaas. Il a collaboré durant trois années avec l’agence Brenac & Gonzalez, avant de se tourner vers la direction artistique en passant par l’Institut Français de la Mode à Paris. A travers ces expériences transversales, il collabore maintenant avec des maisons de coutures telles que Hermès, Lemaire ou encore Lancel, pour lesquelles il élabore des campagnes éditoriales, mêlant ses influences architecturales à son intérêt profond pour les disciplines du graphisme et de la mode. Hadrien Gauthier est architecte. A la suite de plusieurs années d’apprentissage chez les agences École et AC Architectes à Paris, puis après un passage dans le Group8asia en Asie, il a intégré l’équipe de Brenac & Gonzalez & Associés depuis 2016. Lors de ses expériences il a pu développer des projets variés, allant du mobilier à la réflexion urbaine, en passant par des projets d’ensembles de logements collectifs à Singapour ou d’immeuble de bureaux à Hô-Chi-Minh-Ville. Ses explorations actuelles le mènent à travailler sur l’occupation spontanée de l’espace urbain par les enfants en ville, ainsi qu’aux dispositifs liés aux révolutions en contexte urbain. 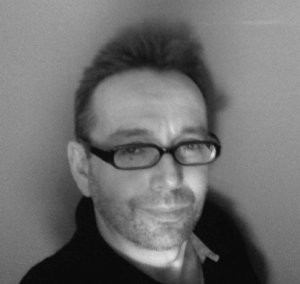 Paul Jaquet is an architect and urban planner, he was trained with personalities such as David Mangin, Grand Prize of urban planning 2008, and collaborated with several famous Parisian agencies: Nicolas Michelin & Associates and Devillers & Associates. He is onez of the founder and associate of Hame agency, with whom he works on all "humans establishments", from housing to large territory, by crossing an operational practice with an experimental vision. He distinguished himself thanks to his research on the "adaptable city" and the "sustainable city" by winning the Europan Prize three times, and recently by winning the EDF Bas Carbone 2017 Prize. After his time at the Rhode Island School of Design in Providence USA, Hugues de Blignières came back to France to get a master’s degree in interior architecture and design at l’ESAG Penninghen. His research on horlogy and watchmaking gave him the opportunity to be showcased at the Beaubourg contemporary Art Museum in Paris. He then worked for Gilles & Boissier, India Mahdavi and Joseph Dirand on high-end residential condominium. In early spring 2017, Hugues de Blignières has launched his own company where he asserts French design through out his projects. 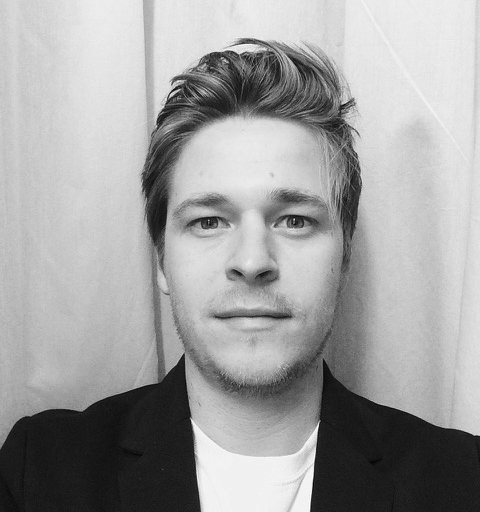 Thibault Gardoncini is an architect, and has worked on projects under the tutoring of Clément Blanchet, former head of OMA France and current associate architect in this structure founded by Rem Koolhaas. He collaborated with the agency Brenac & Gonzalez for three years before shifting towards artistic direction, with a degree at the French Fashion Institute in Paris. In this new field of experience, he is currently collaborating with fashion brands such as Hermès, Lancel or Lemaire, for whom he has been developping editorial campaigns - mixing his architectural background with a sincere interest for graphism and fashion design. Hadrien Gauthier is an architect. After several rewarding experiences in Paris at Ecole and AC Architectes concurrently with his studies, he joined group8asia in Asia before joining the Brenac & Gonzalez & Associés team. These various work experiences in France and abroad sharpened his focus, from domestic space to urban systems through projects such as large housing estates in Singapore or offices buildings in Ho-Chi-Minh-City. Currently, Hadrien Gauthier's work and interest focus more specifically on the spontaneous occupation of urban space by children, as well as on the different facilities and strategies deployed during urban riots.